Bar entrepreneurs Thomas Aske and Tristan Stephenson have closed their famous London bar Worship Street Whistling Shop, which will reopen as London Cocktail Club’s latest location next month. Aske and Stephenson, co-founders of bar consultancy Fluid Movement, announced the closure via the Shoreditch bar’s Facebook page on Monday (5 November). The post read: “After almost eight years, today marks the end of an era for us as Whistling Shop has closed its doors. “We want to thank all our loyal customers, friends and supporters for the love over the years and we will continue pushing boundaries with our other sites Sack Bar, The Napoleon Hotel and Surf-Side. The Facebook post added that the duo is “busy working on exciting expansion plans” for whisky bar Black Rock in 2019. 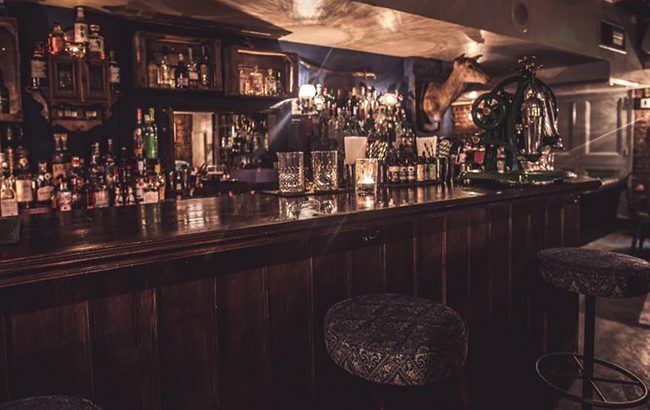 It also revealed that the Victorian-inspired bar is “in the safe hands” of late-night bar chain London Cocktail Club and its founder JJ Goodman. In an Instagram post yesterday (6 November), Goodman said that he was “over the moon” to have the site. In May last year, Aske and Stephenson opened Sherry bar Sack and cocktail bar The Devil’s Darling in The Napoleon Hotel in Shoreditch, where basement bar Black Rock is also based. The Worship Street founders recently installed a whisky vending machine to celebrate the first anniversary of their subscription service Whisky-Me. The news comes just a month after noted bartender Ryan Chetiyawardana announced that he will close acclaimed London cocktail bar Dandelyan at the end of 2018.